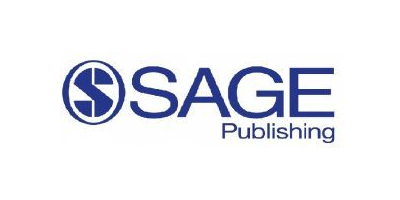 Founded in 1965, SAGE is a leading independent, academic and professional publisher of innovative, high-quality content. Known for our commitment to quality and innovation, SAGE has helped inform and educate a global community of scholars, practitioners, researchers, and students across a broad range of subject areas. Believing passionately that engaged scholarship lies at the heart of any healthy society and that education is intrinsically valuable, SAGE aims to be the world’s leading independent academic and professional publisher. This means playing a creative role in society by disseminating teaching and research on a global scale, the cornerstones of which are good, long-term relationships, a focus on our markets, and an ability to combine quality and innovation. Believing passionately that engaged scholarship lies at the heart of any healthy society and that education is intrinsically valuable, SAGE aims to be the world's leading independent academic and professional publisher. This means playing a creative role in society by disseminating teaching and research on a global scale, the cornerstones of which are good, long-term relationships, a focus on our markets, and an ability to combine quality and innovation. Our highest priority is to make any contact you have with SAGE - whether as a book author, a journal editor, a contributor to one of our journals or as a reader - a pleasant and rewarding experience. Leading authors, editors and societies should feel that SAGE is their natural home: we believe in meeting the range of their needs, and in publishing the best of their work. We are a growing company, and our financial success comes from thinking creatively about our markets and actively responding to the needs of our customers. We aim to be the envy of our competitors - to be people with high standards, who care for each other, and above all who take pride in working at SAGE. SAGE has been part of the global academic community since 1965, supporting quality research that transforms society and our understanding of individuals, groups, and cultures. SAGE is committed to working together with our publishing partners and scholarly community to support their growing needs and the dissemination of their pivotal research.